Sharp Look is not just a DNN theme, it is a powerful DNN theme framework, a total design suite with infinite customization possibilities. It redefines how sites are created and managed by replacing the DNN administration controls with a sleek, clean, touch-friendly interface. Sharp Look’s state-of-the-art technologies give you the joy of editing your design with simple yet powerful tools in the new mode for designers (besides the traditional View, Edit, Layout). You can create a new look every time you get bored of your existing design - with just a few clicks. When you produce several DNN portals a year, you need a toolset that helps you speed up without compromise. That's what we've built in Sharp Look. It will make you one of the fastest developers around and it will make DNN affordable and more attractive for people from within or outside the community. We at DNN Sharp take support to a whole new level. Seriously, go ahead and check our reviews online. Whatever your question, one of the very DNN Jedis who built Sharp Look will get back to you to make sure your project runs smoothly. Yes, we do it during your evaluation period too. Sharp Look is touch-enabled, which means its options can be configured from a mobile device so you’re able to control your website from your smart phone or tablet. No matter how you use it, and no matter how you view it, your website built with Sharp Look is going to look great. No longer will you need to zoom and scroll around when browsing on your mobile phone. Sharp Look was built with simplicity in mind. 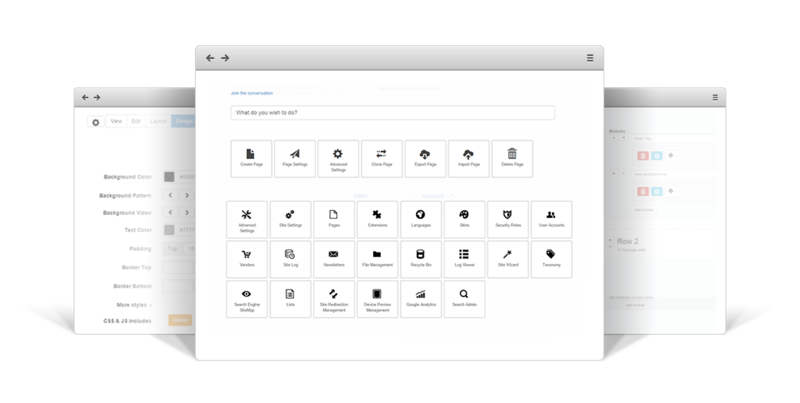 We have replaced the entire DNN control panel bar and we've done our best to only include the customization options you need. With Sharp Look you get access to blindingly fast search functionality to quickly find your way around the site pages and features. Sharp Look gives you total control of most common elements on your DNN portal with just a few simple clicks. Themes and panes can be designed in the Layout mode without coding a single line. Sharp Look UI code belongs to the browser. By replacing the .aspx controls with client-side code we've made DNN much faster, taking it to places you never thought it could go. We’ve included some premade templates that you can instantly add to your DNN portal and tweak to your satisfaction in minutes. Sharp Look was designed to play nicely with most third-party free or premium DNN modules. If you're interested in hosting cost improvement or the optimization of your site performance, then Sharp Look is your ticket. Sharp Look is shipped with forms to help you easily perform common tasks. This way you will cut a tremendous amount of time out of the site development cycle. Sharp Look provides the concept of extension points to allow functionality to be contributed to its core. You can easily add: custom page settings, custom header templates, etc. Sharp Look is shipped with some custom templates, including high-converting landing page templates that will eliminate visual noise and distracting links, thereby encouraging visitors to focus exclusively on your content. 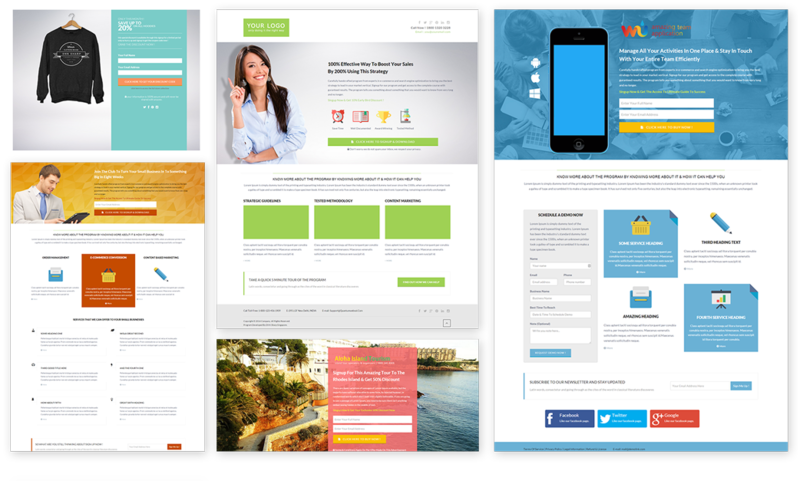 These templates are great for sales pages, sign-up pages, or any other scenario where you need visitors to focus on a specific call-to-action. Even better, we’re always adding new designs for our customers. Frequently asked questions cover answers most of the questions that you might have related to Sharp Look. Please read this section carefully before waiting for support. Who knows? You might find the answer quicker than expected. FAQ 1. Is there a Sharp Look trial available? Yes. 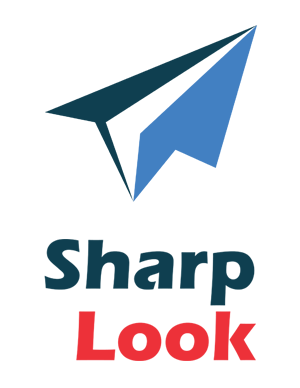 You can download the Sharp Look 30-day free trial from our website. The trial version is identical to the full one, except for the time limitations. FAQ 2. Will I lose the settings I make during the trial when I buy? Absolutely not. You just need to use the invoice number received via email after the purchase was made. FAQ 3. What does a Sharp Look license get me and how long is it good for? Once you buy a Standard Sharp Look license you'll have 3 months of free updates and support. A Server license is shipped with 1 year of free updates and support. After that you'll receive a 50% discount to keep that same level of service. You will not lose your data or any functionality out of the theme builder itself. But you will lose access to downloads, updates, and support. If at any time in the future you want to upgrade to the latest version and get those perks back, you can do it. FAQ 4. Where can I get support? We have a dedicated support forum for Sharp Look. This forum is monitored on week days. That is the best place to ask your questions; not only does our team moderate the forum and provide light module support, but other users are always chiming into the the discussions with their own thoughts — which makes for a solid experience on all fronts and allows a number of perspectives that wouldn’t be present during an email exchange. Our support forums focus on helping people with bugs and other issues and we can not provide in-depth support on complex customization of our modules. Most legitimate bugs that are reported will be logged and fixed for the next release; if a workaround can be easily provided, we’ll share one in the interim. When it comes to customization, while we’re happy to help point users in the right direction towards accomplishing a desired customization if we can, we won’t build your site or app for you. Sharp Look’s state of art technologies give you the joy of editing your design with simple yet powerful tools in the new mode for designers (besides the traditional View, Edit, Layout). You can create a new look every time you get bored of your existing design - in a single night.